It’s inevitable. After Thanksgiving comes Thanksgiving leftovers. Your fridge is stuffed with turkey, ham, stuffing, potatoes, cranberry sauce, and green bean casserole. Not to mention the pies and cookies and cakes. What are you going to do with all of that delicious leftover food? Your stomach can’t handle another Thanksgiving meal. Instead, why not make new recipes from your leftovers? We’ve rounded up some of the most creative and mouth-watering ways to turn your Thanksgiving leftovers into new, equally delicious dishes. Now on with the Thanksgiving leftover recipes. If your family is anything like my family, you have to feed a lot of people and to do that, you use both turkey and ham at Thanksgiving. While there are many recipes to breathe new life into your leftover Thanksgiving turkey, what about the ham? Thankfully, Keitha here at The Bajan Texan has come up with 5 brilliant ways to reuse your leftover ham. You’ll love it even more the second time around! Love Thanksgiving dinner? Love pizza? 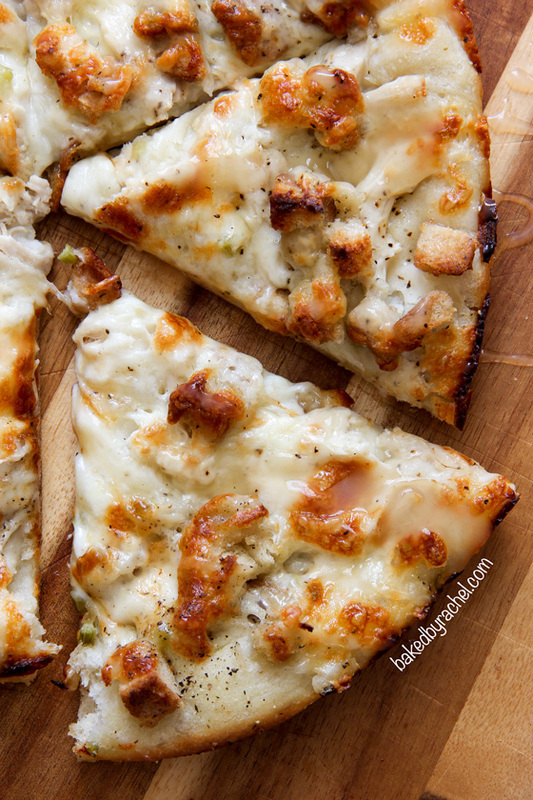 Then you’ll love this fantastic Thanksgiving turkey pizza by Baked By Rachel. With instructions on how to make your own pizza crust and how to use your leftover turkey, mashed potatoes, and stuffing, this recipe will be a surefire hit with you and your family and clear out a good portion of your fridge in the process. Cranberry sauce isn’t just for turkey! 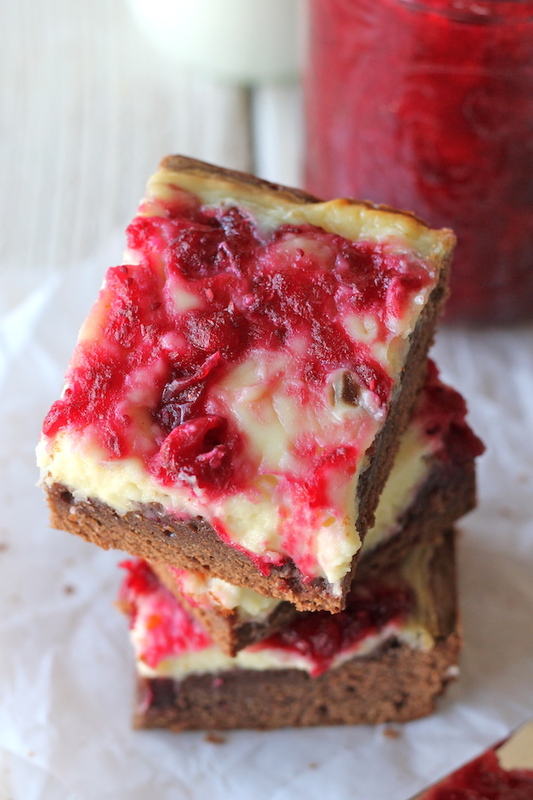 Turn your leftover Thanksgiving cranberry sauce into a sinfully sweet cheesecake brownie. Food blogger and corgi-lover, Chungah, has gifted us with an amazing recipe for cranberry sauce cheesecake brownies. 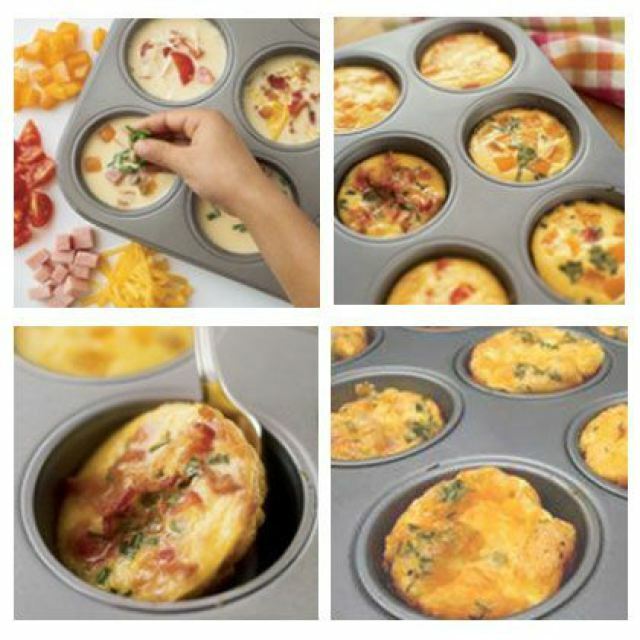 You’ll be sure to gobble these up! This cranberry mayo turns your normal Thanksgiving leftover sandwich into a divine experience. Slather it on a piece of bread and top with lettuce, leftover turkey, and maybe some potatoes or stuffing. 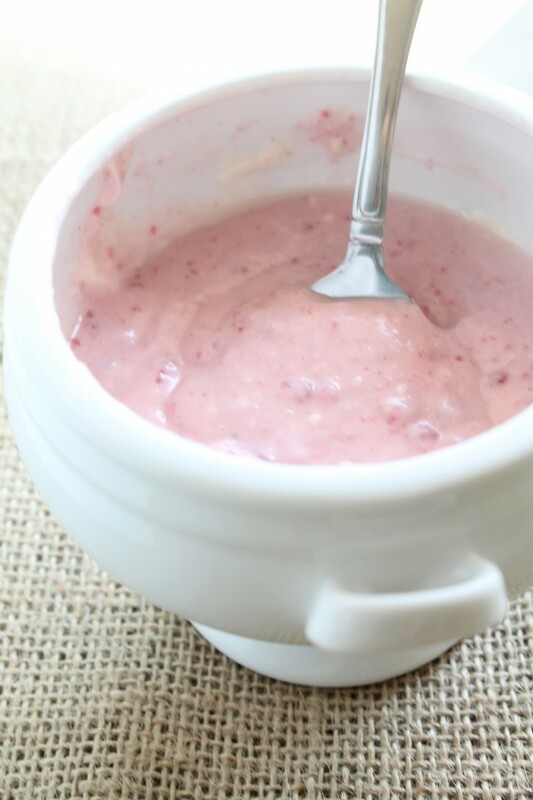 The genius, food-loving mind of Jessie over at Life as a Strawberry is responsible for getting us addicted to this flavorful condiment. After a huge Thanksgiving meal, sometimes you want something a little lighter. 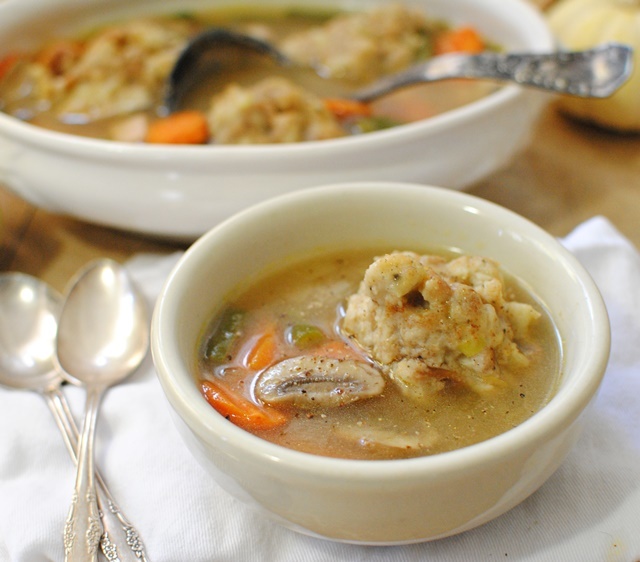 Why not use your Thanksgiving leftovers to create a deliciously light and satisfying dumpling soup? Jennifer at Town and Country Living has concocted the best leftover Thanksgiving dumpling soup you’ll have. This soup is perfect to eat by the fireplace on a crisp fall evening. Green bean casserole is a staple for most families at Thanksgiving, but it never quite tastes as delicious when it’s reheated. 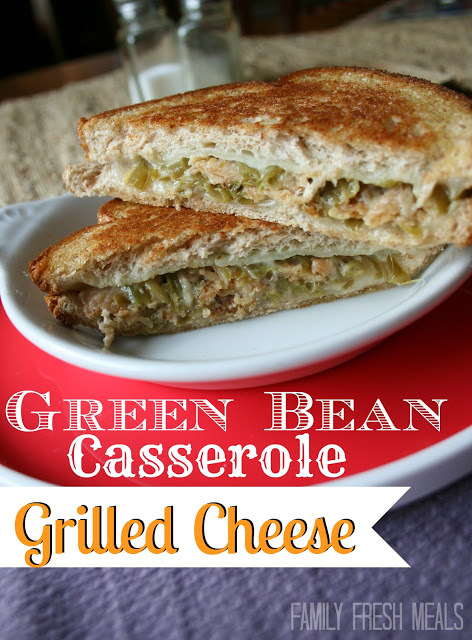 Fortunately, Family Fresh Meals has come up with a brilliant new way to reheat your green bean casserole into an innovative grilled cheese. Warm, gooey, cheesy green bean casserole sounds like one of the best uses of leftover green bean casserole ever. Need a quick and easy way to get rid of your leftover sweet potatoes and turkey? 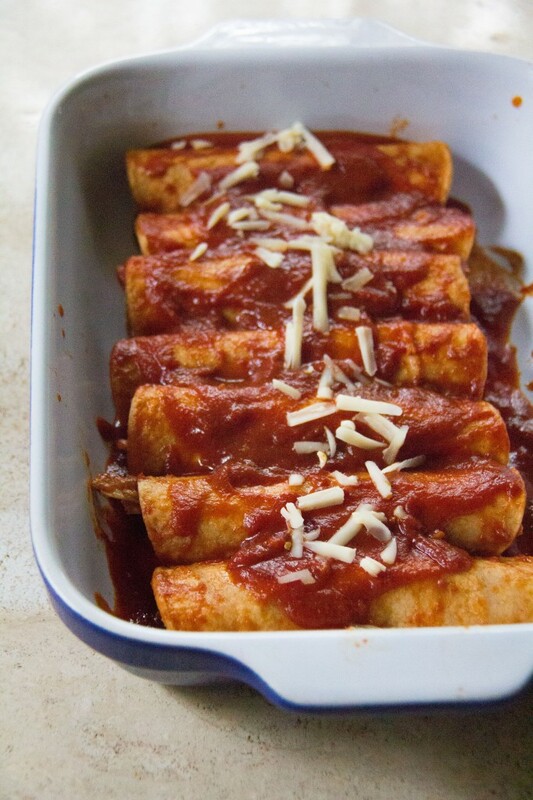 Turn them into enchiladas! Kylie at Yeah..Imma Eat That has provided us with a spicy take on Thanksgiving leftovers by turning them into healthy enchiladas. Bet you can’t wait to try these! 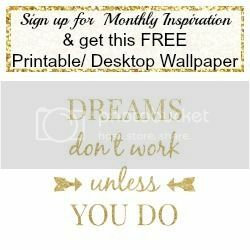 Article written by Kelly Mahan, also a writer for wisercosts, a company that connects homeowners to reliable, affordable and professional contractors for their home improvement projects. Check more on Twitter.